December | 2015 | A Touch Of Light! 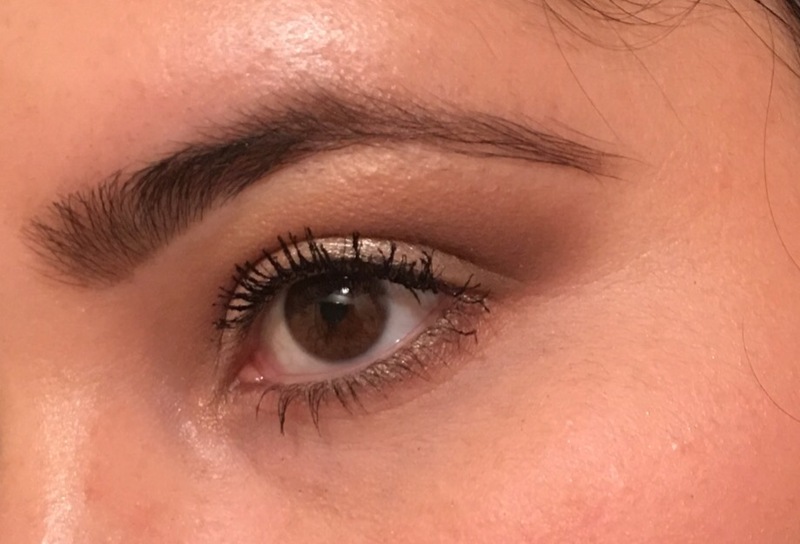 Here are two looks I created using the Naked Smoky Palette which I am so impressed with and have been enjoying. 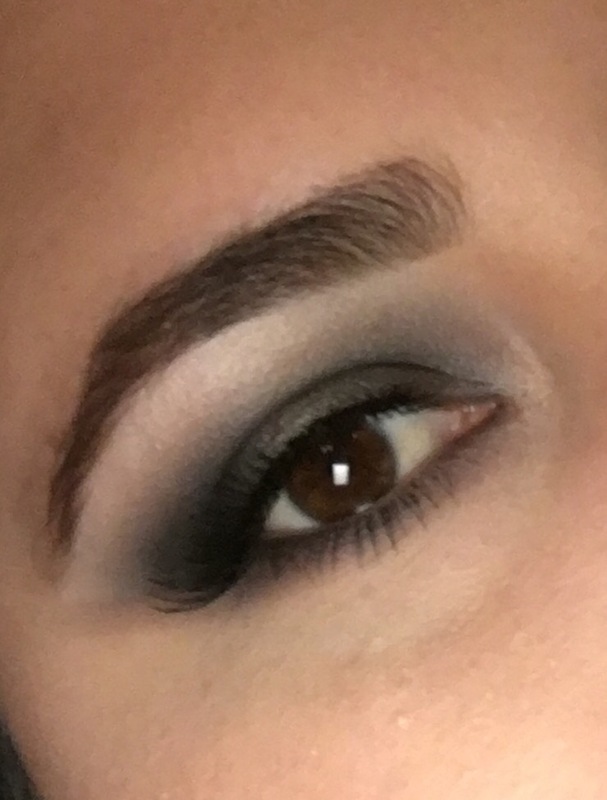 If you would like a tutorial using the Naked Smoky palette let me know in the comments below. I would love to know what you are interested in seen. Which look is your favorite? 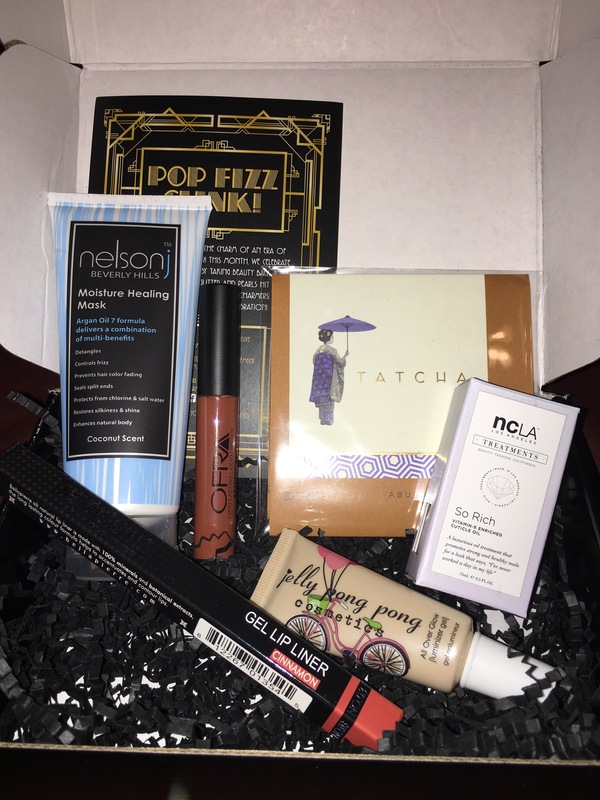 Looking for a natural inner glow? 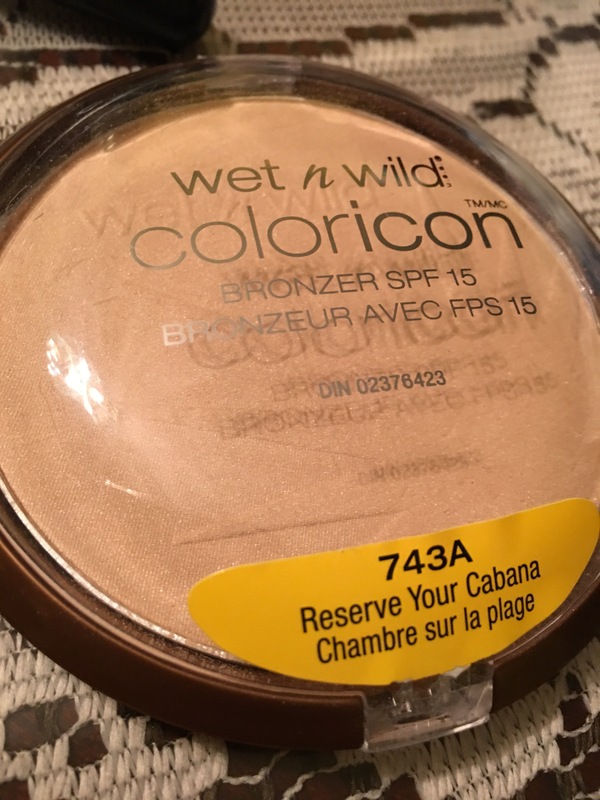 Wet n Wild: Reserve Your Cabana is a beautiful product that will help you achieve just that. 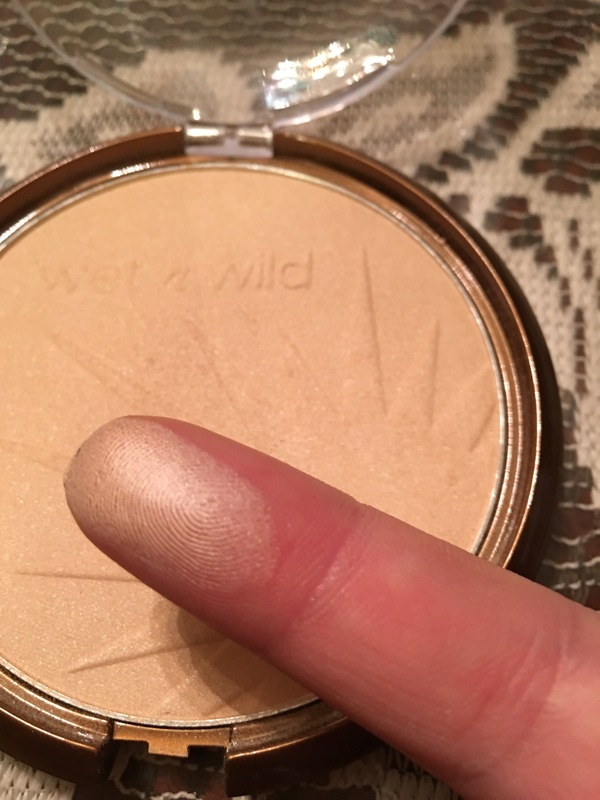 It is marketed as a bronzer but its a neutral gold that is perfect as a highligher. You will not find chunky glitter or have it just sit on your skin. 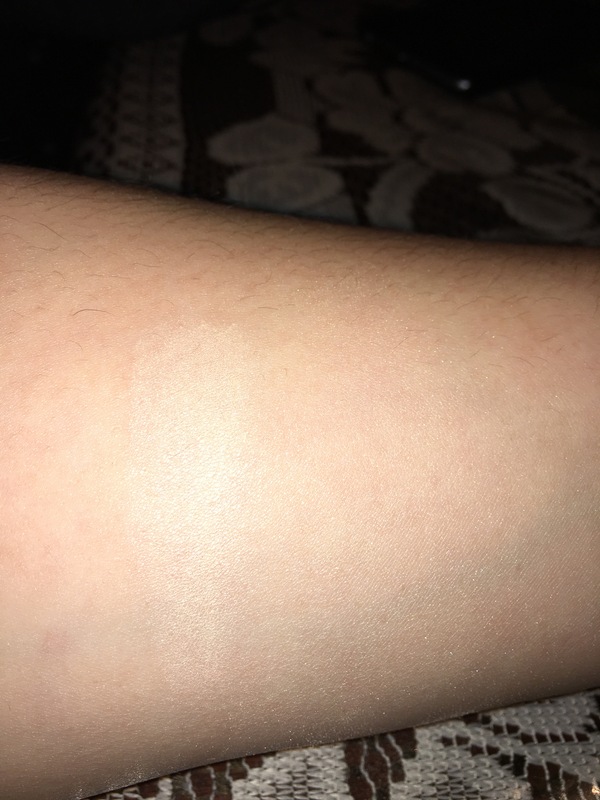 It blends in your skin and has a very soft and velvety texture. It’s simple to apply with a brush like the Elf Blush Brush or even your finger. The best part, it’s less than $5.00. You can find it at Walmart, CVS, Walgreens, most drugstores. 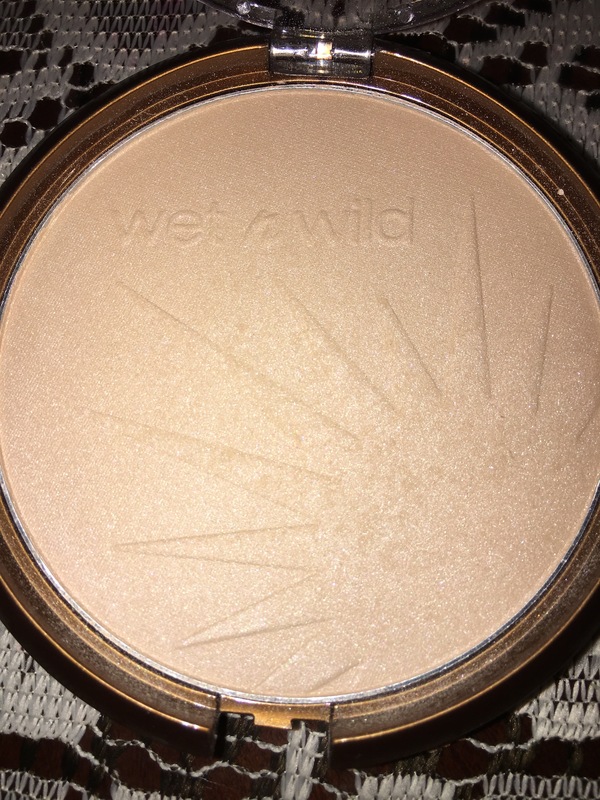 What are your favorite drugstore highlighter?What are your favorite Wet n Wild products? 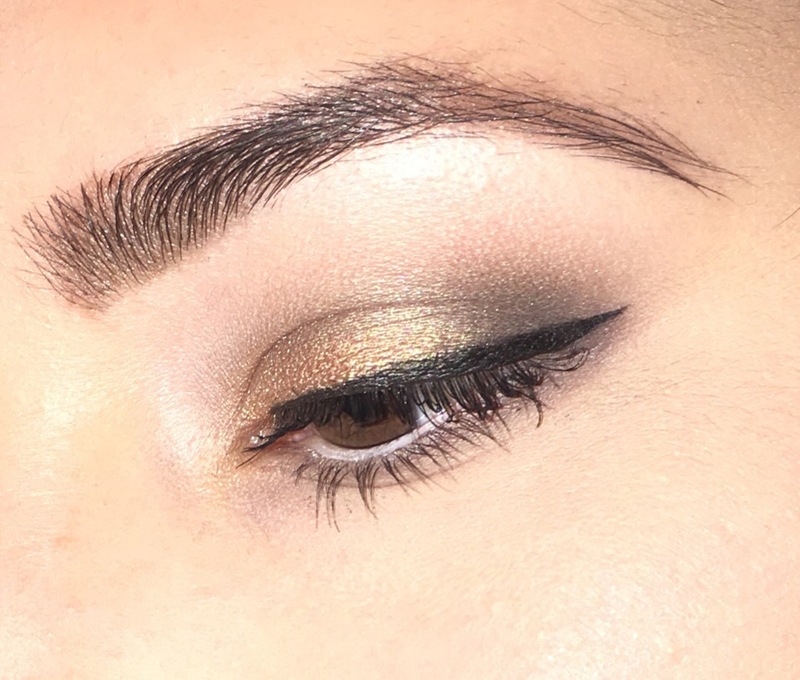 MOTD: Using My Trusty Products! 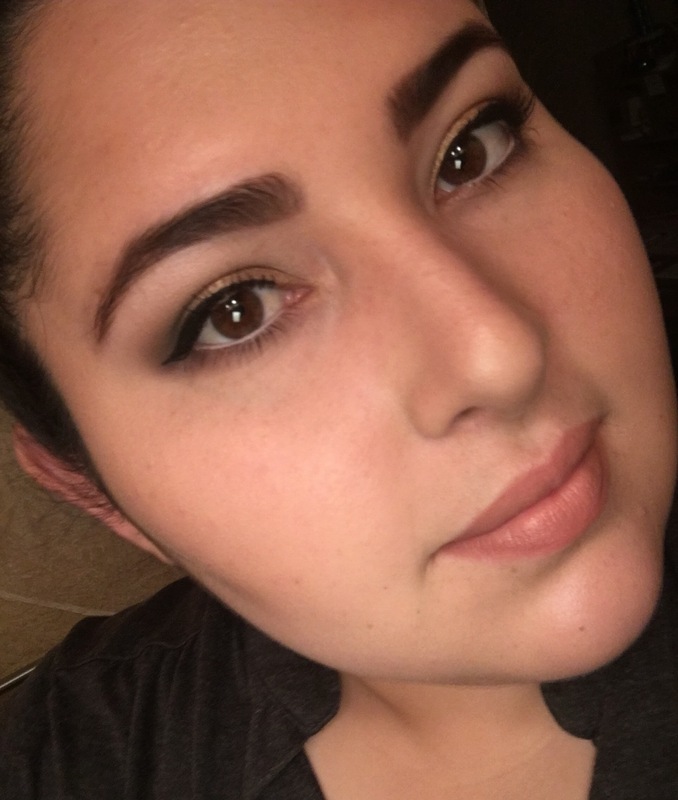 I wanted to share my makeup look with you all. Specially because all the products I used today make me feel very comfortable and I don’t find the need to touch up or worry about eyeshadow fallout. The only thing that I am not very happy about is the mascara that I used: Maybelline Volum’ Express the Colossal. 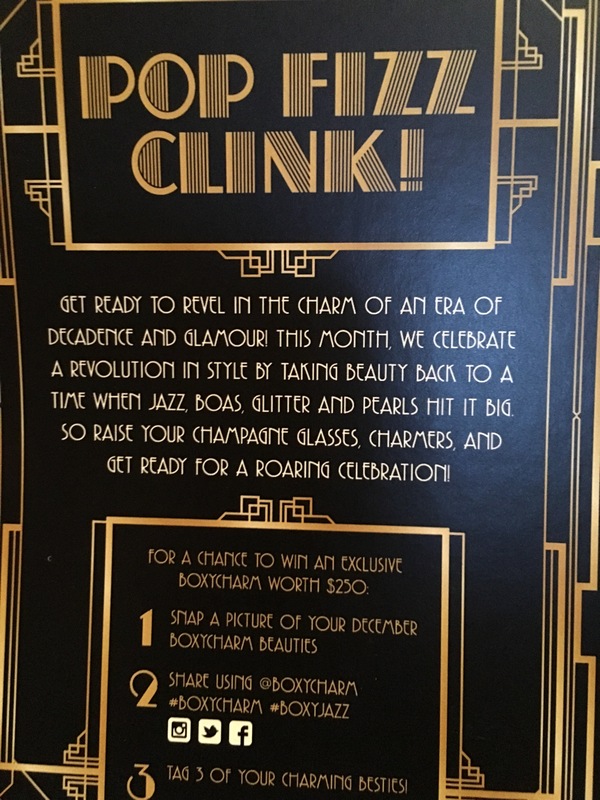 This mascara does flake. 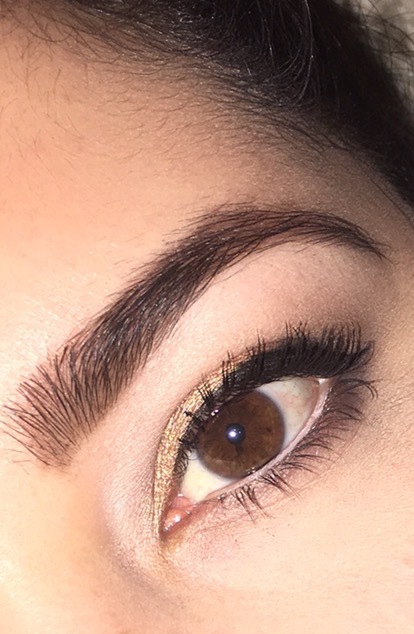 Any mascara recommendations? Mac fix+ to set it all! It has taken me a while to get used to this palette. I thought about returning it but decided to give it a chance and play with it a bit more. The shadows are beautiful, very pigmented, you can find a variety of finishes. 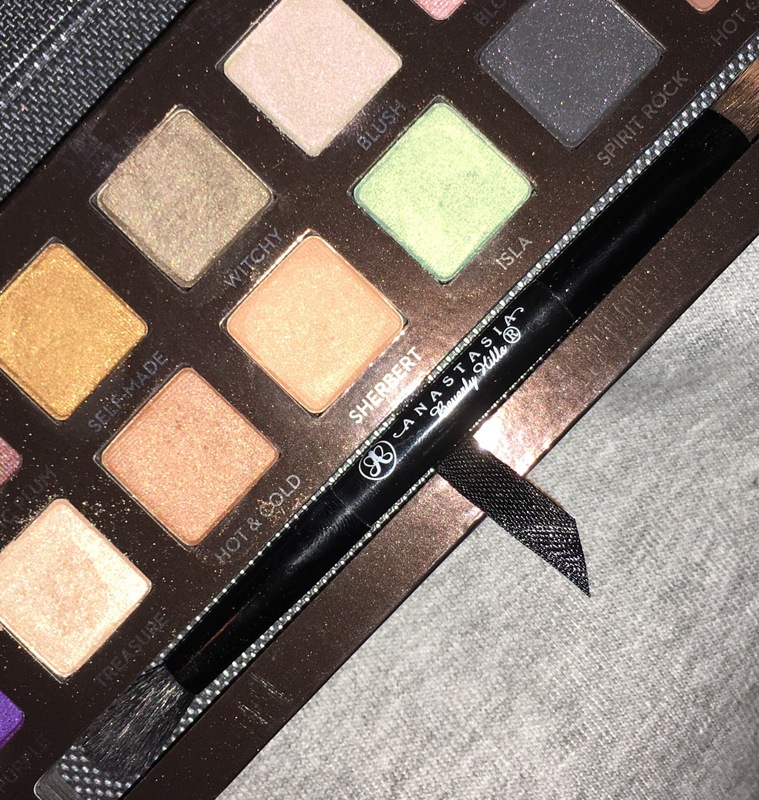 I bought it at a glance, which means, I made the decision to purchase it based on the shade colors on Ulta’s website. I did not look into any product description or swatches prior to this purchased. 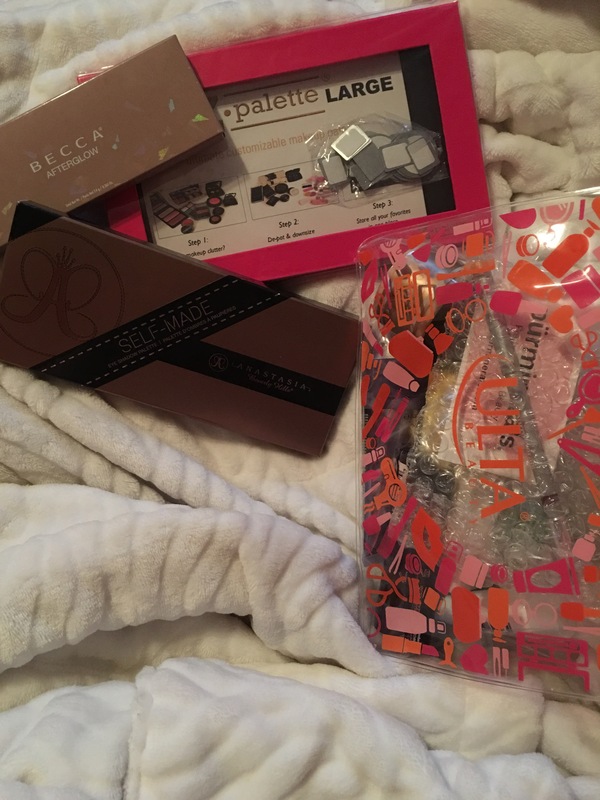 Therefore, I had a very different expectation towards this palette than what the palette had to offer. Packaging is beautiful, very sturdy and travel friendly. 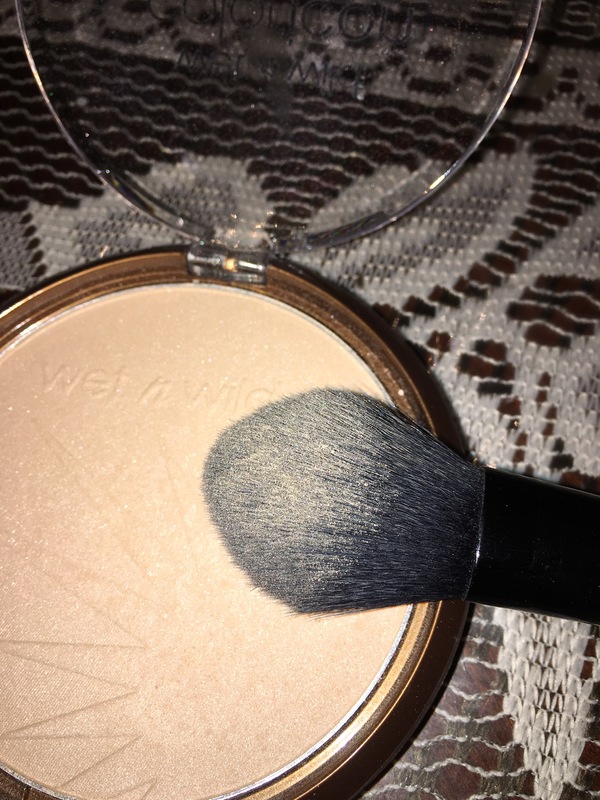 Comes with two sided brush, the blending brush is not soft it does feel a bit stiff does poke the lid a bit when using it to blend shadow in the crease. As you can tell by the description and the swatches of the eyeshadows, there are a lot of beautiful and different finishes. 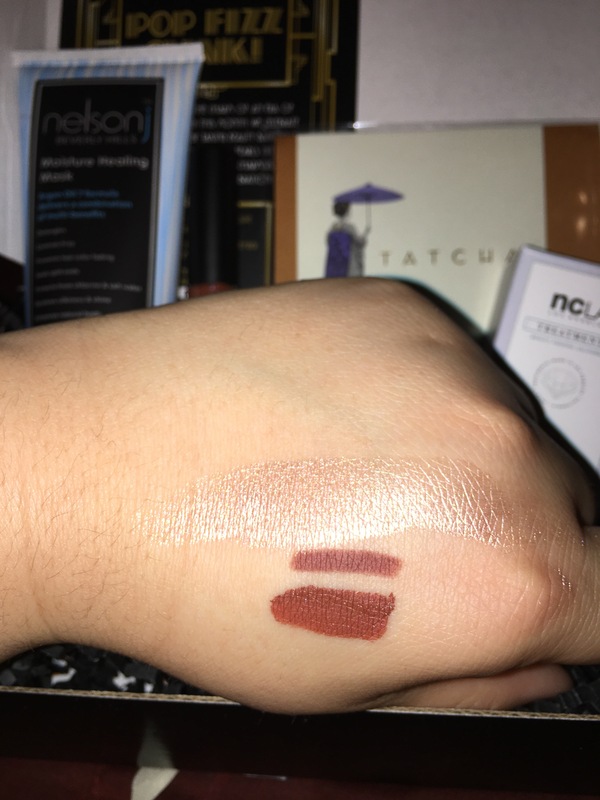 Having said that, you only have 2 matte shades to work with: a dark brown and a beige. My only complain is there are no transition shades for blending. 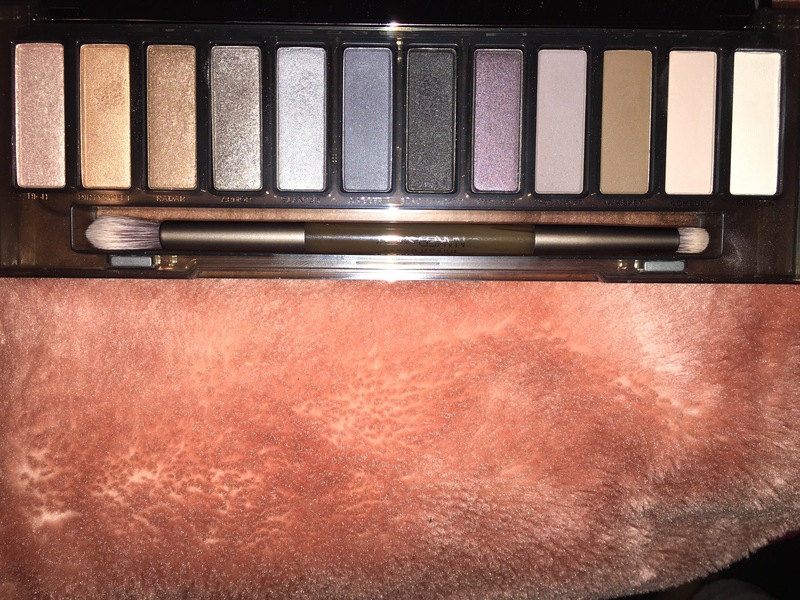 Of course you can create glamorous looks, night looks full of sparkle but multiple everyday neutral looks is not something easy to create using only this palette. 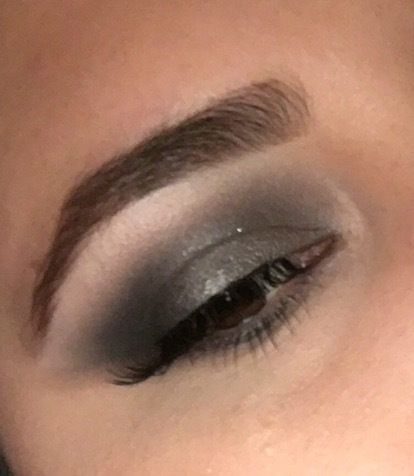 The majority of the time you will have to pull from other palletes to complete a look. I didn’t experience much fallout during application and after a 12 hour day. They are very long lasting, of course an eye primer is always recommend to use. I didn’t find the need to wet my brush to intensify the color payoff. You get 14 eyeshadows for $35.00, so is not as expensive as other palletes. 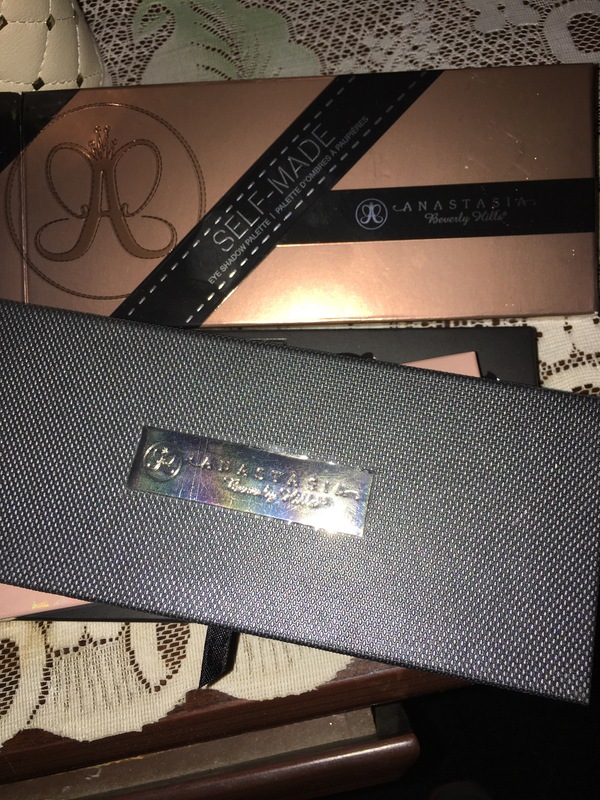 In my opinion, if this is the first palette you will purchase I recommend going for something more versatile. 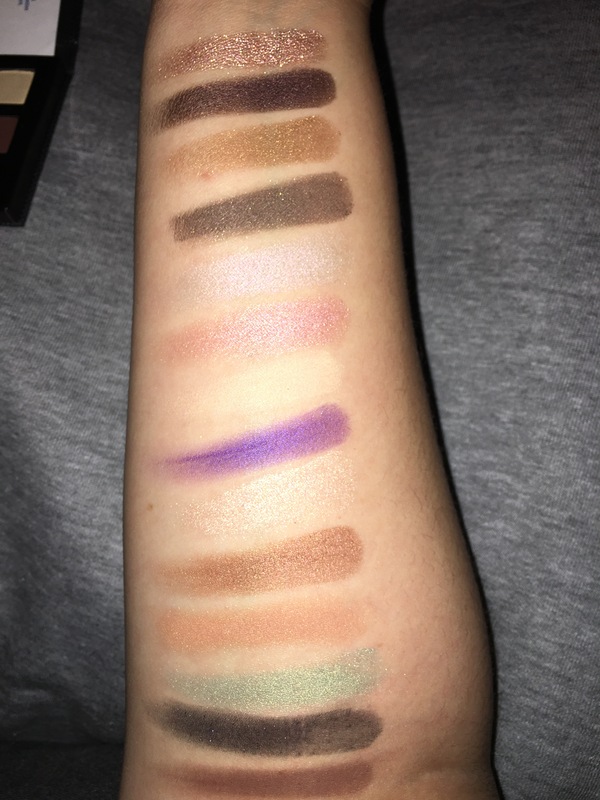 If you already own several palettes and don’t mind pulling from other palletes to create a look and want to experiment with metallics, duo chromes, sparkle, satin, tatainum, velvet and ultra matte finishes then I do recommend it. It’s a fun palette. What do you think? 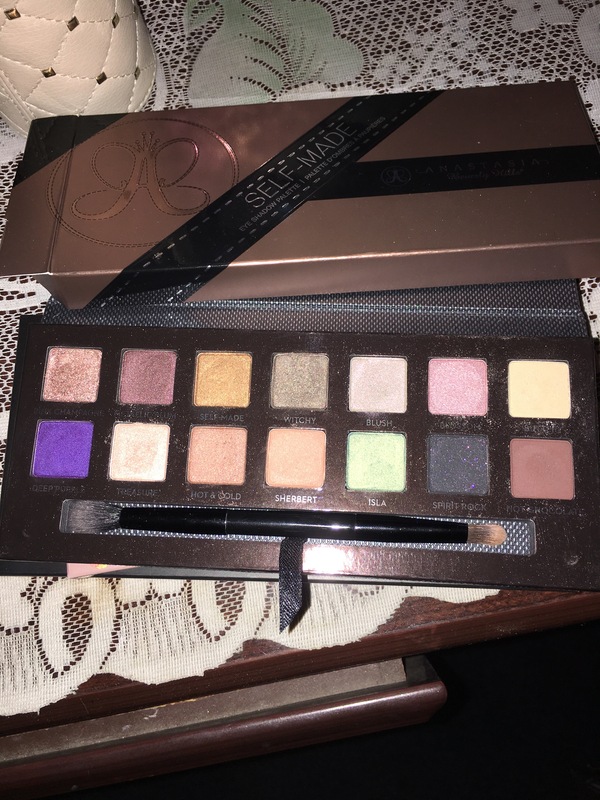 Are you interested in this palette? Do you own it? 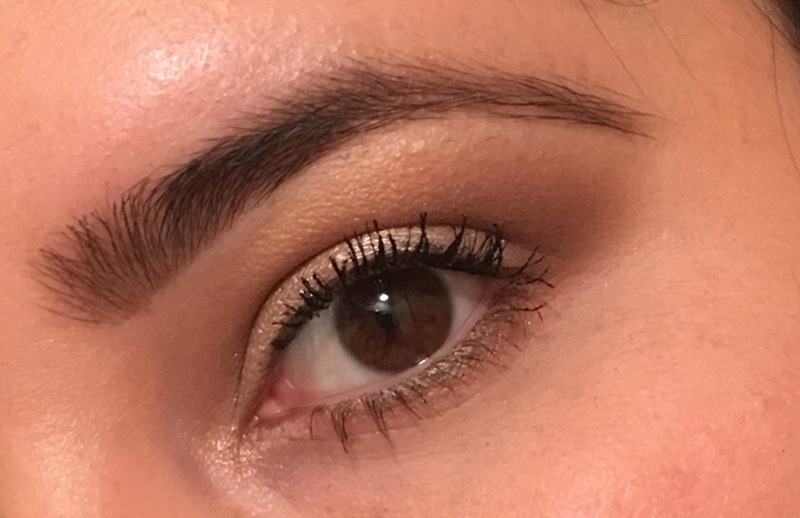 I have very bad lighting in my bedroom which becomes a problem when applying makeup. 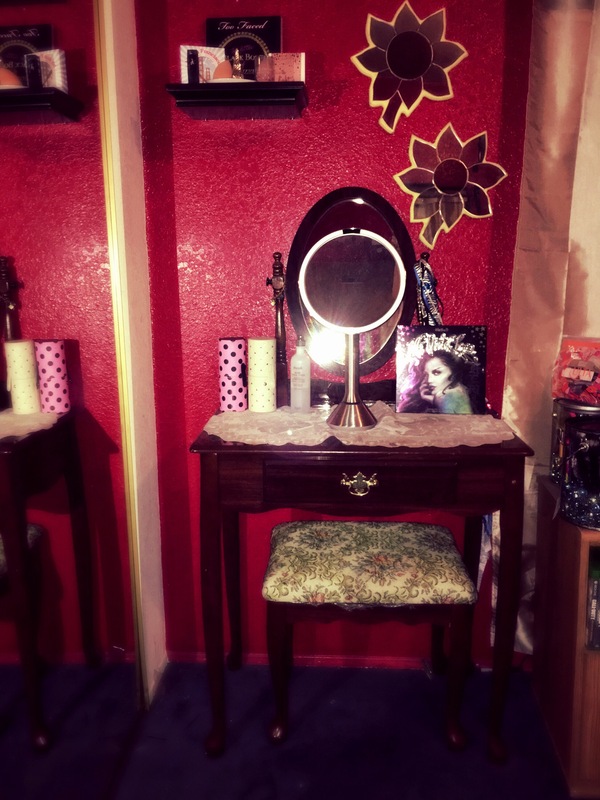 Like most girls, I was lusting over the Hollywood Girl Vanity set but I have a vintage vanity set that has a sentimental value. Therefore, I do not want to get rid of it or take it apart. The Simple Human Mirror ended my long search. Yes, it is not exactly what I had in mind its even better. It is a 5x magnification one sided mirror. It gives natural light, has a sensor that turns the light on when you are in front of it and automatically turns off when you step away from it. It is cordless, charges using a USB cable. There is ring light around the handle that turns red indicating it is time to charge and while it’s charging it blinks green. Once it is fully charge it turns to a solid green. The makers of this mirror claim the charge lasts about 5 weeks and based on other reviews and my experience with it, you will find yourself charging it around every 2 weeks for a couple of hours (It does vary depending on the daily time use). Since it is a mirror with 5x magnification it will provide you the ability to see every single beautiful imperfection so keep that in mind. On the other hand, it allows you to get a more detailed, true to color makeup application. This mirror can be purchased in Amazon, Simple Human.com and Bed Bath and Beyond. I bought mine at Bed Bath and Beyond, retail price is $200.00 I used a 20% off coupon towards this purchased (the store sends you a 20% off coupon just by submitting your email address). 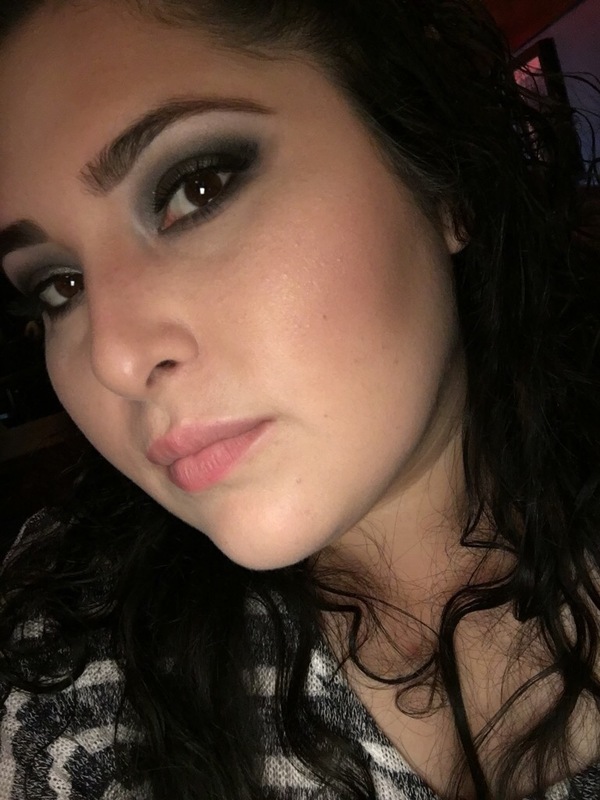 Overall, I am very satisfied with my purchase and feel much more confident with my makeup application. Are you familiar with the Simple Human Mirrors? What mirror do you use for makeup application? I did some online shopping at Ulta a couple of days ago. My order arrived yesterday. This was my first time depotting makeup. It is time consuming but the end result is worth it. 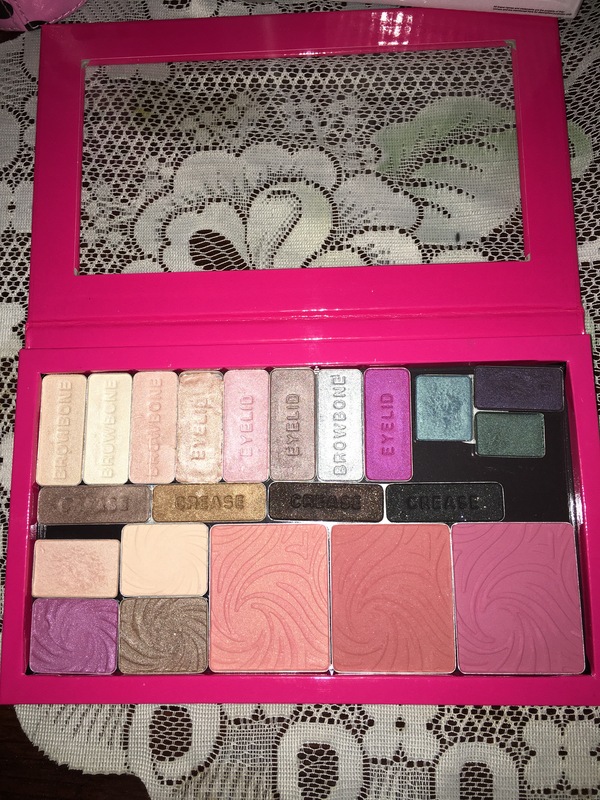 I mostly have Wet n Wild products in my Z palette. I’m very happy with the over all result. It is a great way to keep your single makeup items organized. Very sturdy packaging, very convenient for traveling. Do you own a Z palette? What items do you or would you put in your costumized palette?